Web • No explanation was given on why the daily deals site closed. 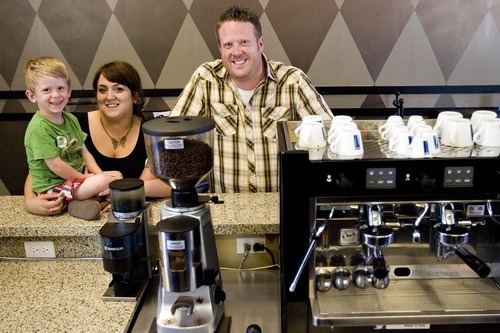 Djamila Grossman | The Salt Lake Tribune Keslie and Tim Lyons and their son, Max, 3, at their coffee shop, the Dancing Yeti Coffee, in Draper on Wednesday, Aug. 31, 2011. The couple sold around 100 gift certificates on CityDeals.com but they have not been paid. The company's website was disabled Wednesday. 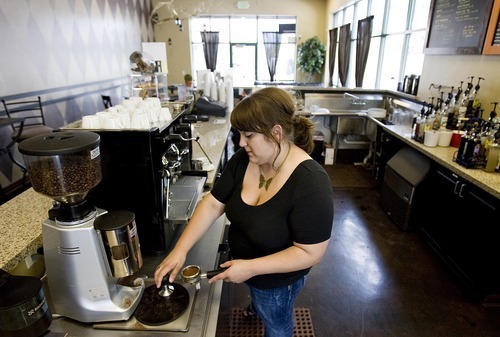 Djamila Grossman | The Salt Lake Tribune Keslie Lyons steams milk at her coffee shop, the Dancing Yeti Coffee, in Draper on Wednesday, Aug. 31, 2011. Lyons and her husband, Tim Lyons, sold around 100 gift certificates on CityDeals.com but they have not been paid. The company's website was disabled Wednesday. Djamila Grossman | The Salt Lake Tribune Keslie Lyons grinds coffee beans at her coffee shop, the Dancing Yeti Coffee, in Draper on Wednesday, Aug. 31, 2011. Lyons and her husband, Tim Lyons, sold around 100 gift certificates on CityDeals.com but they have not been paid. The company's website was disabled Wednesday. 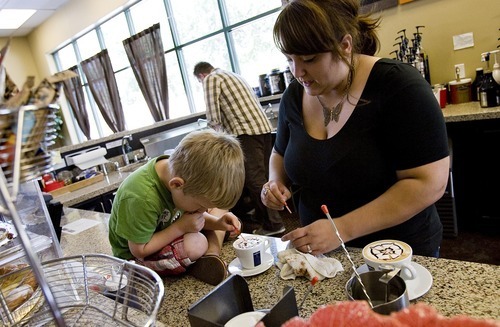 Djamila Grossman | The Salt Lake Tribune Keslie Lyons and her son, Max, 3, make latte art at their family's coffee shop, the Dancing Yeti Coffee, in Draper on Wednesday, Aug. 31, 2011. Lyons and her husband, Tim Lyons, sold around 100 gift certificates on CityDeals.com but they have not been paid. The company's website was disabled Wednesday. 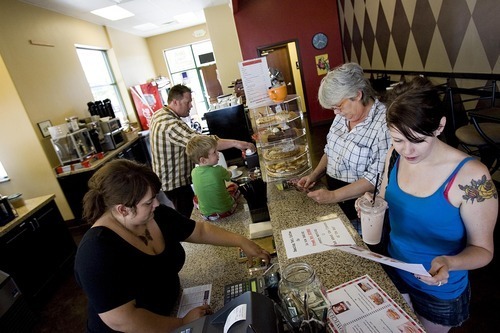 Djamila Grossman | The Salt Lake Tribune Keslie and Tim Lyons and their son, Max, 3, make drinks for Katie and Joan Bills at their coffee shop, the Dancing Yeti Coffee, in Draper on Wednesday, Aug. 31, 2011. The couple sold around 100 gift certificates on CityDeals.com but they have not been paid. The company's website was disabled Wednesday. The popular site CityDeals.com has closed its virtual doors, leaving customers with gift certificates that merchants may no longer accept. The site, which sold at a discount certificates good at businesses in Utah, was peddling deals as recently as Wednesday morning. But its website has since been disabled. Mid-morning Wednesday, it redirected users to another daily deals site. By noon, the CityDeals site had only this message posted on its website: "CityDeals has enjoyed serving you for the past four years. We are closing our doors. If you have any questions, please contact merchantsupport@citydeals.com." A spokeswoman for Utah-based CityDeals declined to explain what led to the company's abrupt announcement. Like many deals-oriented sites, consumers paid CityDeals for the certificates they purchased; the company took a cut of that amount and was supposed to give the rest to the merchant issuing the certificate. Although some certificates cost as little as $5, others, for bigger-ticket items such as hotel or entertainment deals, could cost $100 or more. A number of merchants, such as Dancing Yeti Coffee Co., say CityDeals has yet to pay them what they are owed. 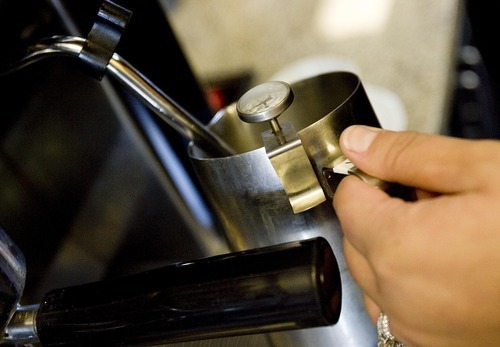 The Draper coffee house sold about 100 certificates worth $10 on the website, said owner Keslie Lyons. Consumers paid CityDeals $5 for the $10 certificates. "I was supposed to get $2.50 from each certificate sold," said owner Keslie Lyons. "But we haven't received a dime." In the meantime, she said, she's been honoring the certificates offered on the site, which means she's giving away $10 in coffee and food each time a certificate is redeemed. And there are still about 70 more certificates that were sold but have not been turned in. "If we were to honor all of those, we'd be losing $700  that would kill us," she said of her small business, which she and her husband opened in May. Some merchants are continuing to accept CityDeals certificates; others are not. On Wednesday, all CityDeals.com phone numbers had been disconnected. CityDeals, which has also offered deals in Arizona, Nevada, California and Washington, posted a message on its Facebook page urging customers to wait for answers, but said it would answer none of their questions. "We are doing everything we can to make this right. Please be patient, this is not a simple solution that we can fix overnight, all we are asking is for a little more patience. Thanks." A CityDeals spokeswoman said that as of Tuesday night, the site was "being acquired by another company. That deal has been in the final stages for a period of time and when announced will result in a purchase of all CityDeals assets and will ensure that all existing merchant accounts are paid in full, according to their contractual agreements with CityDeals." But that hasn't happened. As a result, some people who have credit in their CityDeals accounts or who have certificates they need to print have been unable to log in since the website was disabled. Others have certificates that merchants say they will not accept. James Saccomano, executive vice president of DealsThatMatter.com, said Wednesday his company had been in talks to acquire some of the assets of CityDeals but has since rescinded its purchase offer. He would not elaborate. Saccomano stressed that his site has no affiliation with CityDeals, even though DealsThatMatter.com was the site to which CityDeals directed customers early Wednesday. "We're getting inundated with emails and calls" from people wanting to contact CityDeals and find out what's going on," he said. CityDeals customers such as Monica Yocom are wondering if all the certificates they purchased are worthless. "I feel bad for the merchants, too, because they are in a bad situation and don't want to lose customers because of this," she said. Although it's unclear what led CityDeals to close, one thing is for sure: CityDeals was among just a few sites of its kind when it began about four years ago, but today it's just one of hundreds of daily deal sites that provide discounted gift certificates and other offers. "With so many new entrants saturating the daily-deals space, deal fatigue may be setting in with consumers," said Matt Pace, managing director of retail and consumer products for Web analytics company Compete. Retail strategist John Long, of consulting firm Kurt Salmon, said the number of deals-oriented sites "likely exceeds the market for them."